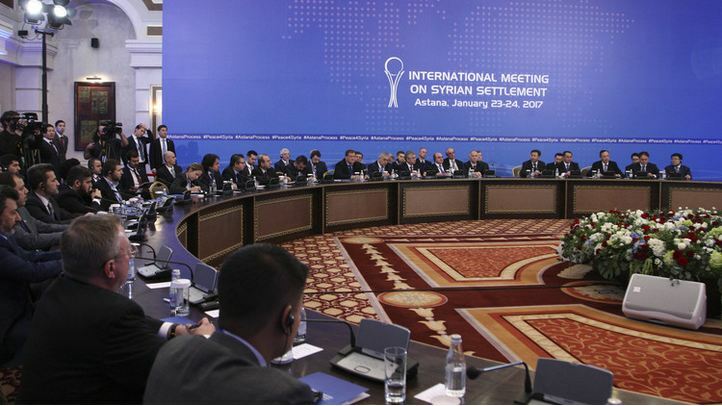 Astana talks have come to a general result that could be described as satisfactory, especially to the Syrian government and its allies and supporters. The talks ushered in a new era and represented a very important shift in the Syrian scene. The main conclusion of the conference proved a salient progress of the government on both military and political levels. Meanwhile, the event was an excellent demonstration of the descending and dwindling capacities of the takfiri military groups, and caused a huge division and fierce fighting among them. 1- the enacting of a total ceasefire. 2- the stoppage of military operations, in preparation for the anticipated international conference towards the end of February to solve the Syrian crisis. One of the basic remarks in the conference, was the inability of the military opposition to be represented by a unified and coherent delegation, in contrast to the government delegation which proved high competition and exemplary efficiency. Moreover, the recent developments represented by the US plans to implement safe zones in Syria would not cause any disturbance to the Syrian strategic plan. The situation has dramatically changed as especially after the liberation of Aleppo. As such, no positive results would be yielded by the takfiris. To sum up, the situation in Syria has come to a point where the takfiri groups lost all hope to tip the balance in the foreseeable future, which was translated with more successful reconciliation operations where hundreds of militants handed their arms to the government forces. If the prevailing situation continues, which is more likely, the chances of a lasting and comprehensive political settlement would be a tangible reality for the first time in years.